Love and music are forms of addiction that no drug in existence could ever replace. Put them together and you have the makings of a special compilation. 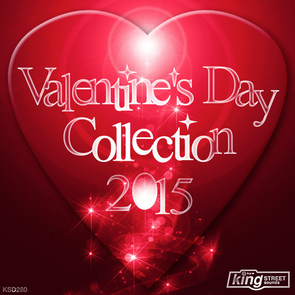 Throw in some house beats and you have the latest Valentine's Day Collection from the very cool King Street Sounds. Representing the new school of dance music talent, the album includes tracks from Melohman’ Two Hearts (Haze-M Remix)’, Anton Ishutin Feat. Tiana ‘Forever After (Lou Van Remix)’, Apollo 84 Feat. Maxine Hardcastle ‘’Words That You Say’ and Tonbe & Rescobar ‘Keep Us Warm’. Dipping back to the old school with those perfect soulful warm vibes are Tsalikee & Kathy Brown ‘Something About You (Groove Assassin Remix)’, Kerri Chandler ‘Lovin’ You (Kaoz Club Mix)’, Ananda Project Feat. Terrence Downs ‘Where Do You Come From (DJ Spen & Gary Hudgins Main Vocal Remix)’, Stephanie Cooke ‘Holding On To Your Love (Grant's Summer Vocal Mix)’ and Eric Kupper Presents K-Scope ‘Electrikiss’. Perfect soulful house music, it’s out now.